In the great world of accessories for cigars there are some very useful, others less so. Perhaps it is these that fascinate us most. Today we talk about a particular cigar. Original. Only. 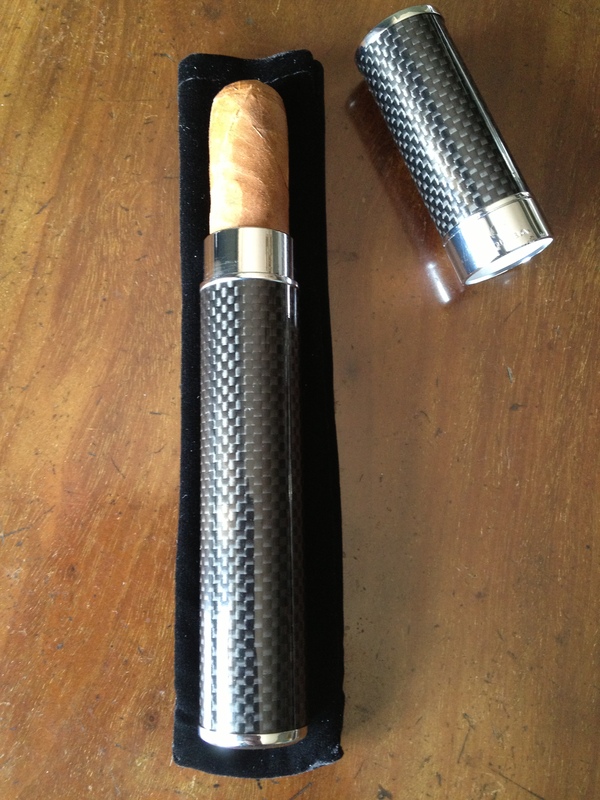 Carbon fiber suitable for transporting a single cigar. Very beautiful object to be shown, because you do not see around. So those who love originality, it will be satisfied for sure. 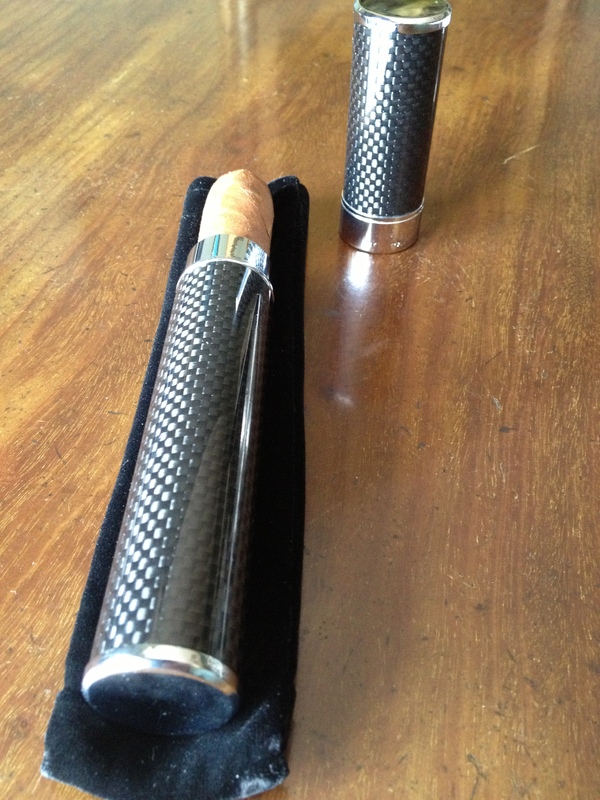 It ‘was designed to hold large cigars, which are important. Enter a Canonazo well. Lightweight and durable at the same time. 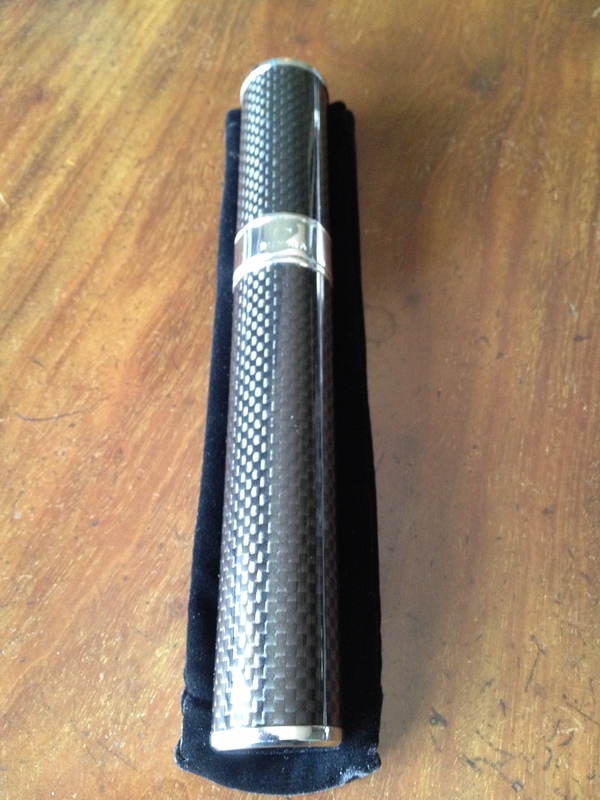 On the wing, which resembles a real, bears the Cohiba brand, while remaining discreet. An object fanciful, but to great effect. Classy. 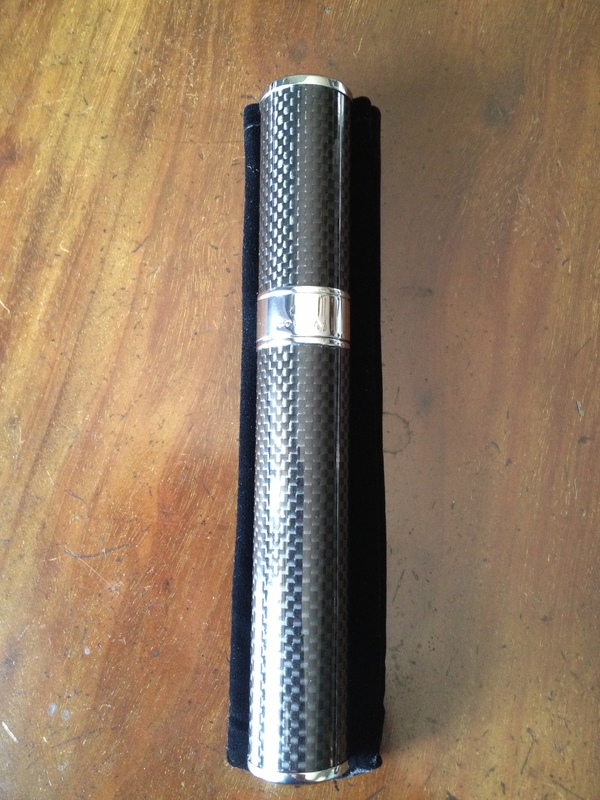 If you love the glossy world that revolves around the Cuban cigar, you can not not have it. Nel grande mondo degli accessori per sigari ce ne sono alcuni molto utili, altri meno. Forse sono proprio questi ultimi che ci affascinano di più. Oggi parliamo di un portasigari particolare. Originale. Unico. In fibra di carbonio adatto a trasportare un singolo sigaro. Oggetto molto bello da esibire, anche perché non se ne vedono in giro. Quindi chi adora l’originalità, ne rimarrà di sicuro soddisfatto. E’ stato studiato per contenere sigari grandi, importanti. Entra bene un canonazo. Leggerissimo e resistente allo stesso tempo. Sulla fascia , che ricorda una vera, porta il marchio Cohiba, pur rimanendo discreto. Un oggetto sfizioso, ma di grande effetto. Di gran classe. Se ami il mondo patinato che gira intorno al sigaro cubano, non puoi non averlo.